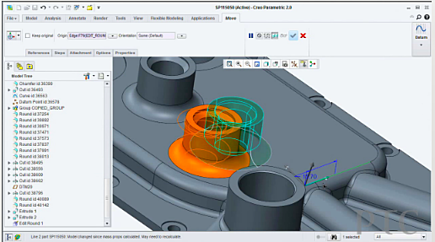 The release of Creo 4.0 marks the latest development in the product design revolution. The launch of Creo 4.0 now means that engineers and designers have access to software that equips them with the tools they need to face the latest product design challenges. With this latest release, PTC have added many new capabilities including design for additive manufacturing, model-based definition and much more. Model based enterprise - This update is aimed at providing help to model-based enterprises. These include improved authoring of model-based designs and the ability to analyse your enterprises consumption. Productivity improvements - An advanced rendering extension and app and improved concept design tools are all aimed at improving the productivity of engineers. Design for IoT - The digital prototypes in this update are designed to be more reliable and accessible. Engineers can now predict more closely how the prototype will perform in real-life scenarios, and the results are produced so that they can be understood by non-CAD users. Design for Additive Manufacturing - There are many improved processes for 3D printing, particularly for 3D and 2.5D lattice structures. Simulation and product performance analysis has also been improved.